During July and August, your customers can get $10 cash back on some of Rinehart Targets most popular models. Fall bowhunting is right around the corner and Rinehart Targets, manufacturers of incredibly durable and life-like archery targets, is making it that much easier to perfect your shot this season by offering rebate savings on several of its popular targets. For a limited time only, Rinehart is offering $10 cash back on some of your favorite targets including: the Woodland Hunter target, the Pyramid target, 18-inch and 22-inch Rhino Bags, and the 18-inch X-Bow Bag. These rebate offers are only valid for targets purchased July 1 through August 31, 2018. In addition, the company will also be offering a $20 rebate on any Woodland Buck target, 26-inch Rhino Bag or 18-1 target, when purchased August 1 through September 30, 2018. More details and information about all rebate offers, along with downloadable rebate submission forms can be found at: Rinehart3d.com/rebates. 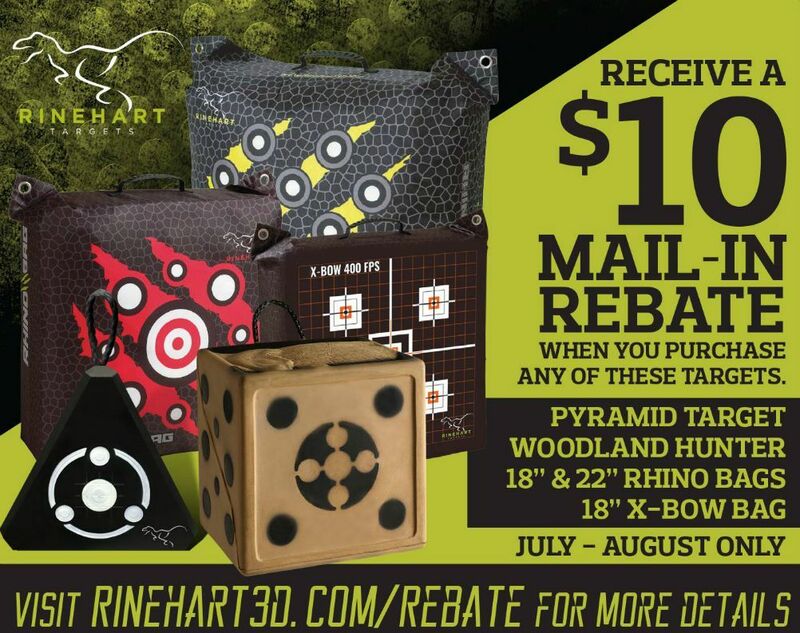 After purchasing your new qualifying Rinehart Target, simply go to Rinehart3d.com/rebates and download the quick and easy rebate submission form listed for the target model purchased. Complete the rebate form, mail it along with a copy of your receipt to the provided mailing address and your rebate check will be on its way. 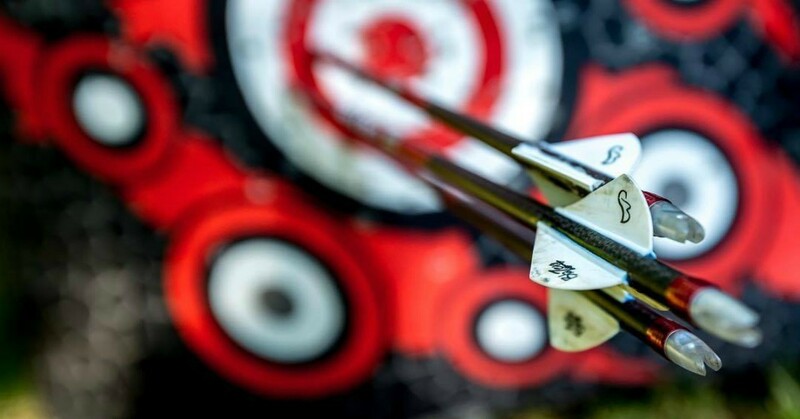 Rinehart Targets offers a complete line of life-like and durable practice archery targets and hand-painted realistic decoys for the avid archer. All products are designed with every detail accounted for to mimic the real thing. The company continues to grow and innovate with versatile, brand new targets, many of which incorporate the company’s renowned technology like Rinehart’s exclusive solid self-healing foam and patented locking inserts, both designed to further enhance the durability of each target. For more information about Rinehart Targets, visit: rinehart3d.com.